The Santa Cruz Jumbo Shredder is the absolute daddy of4-piece herb grinders. The diameter of this thing is a scarcely believeable 100mm across. That is a monstrous 4 inches in diameter to anyone who doesn’t use metric. The huge capacity allows it to literally shred huge amounts of your herbs in one go. The Santa Cruz Jumbo Shredder is the absolute daddy of4-piece herb grinders. The diameter of this thing is a scarcely believeable 100mm across. That is a monstrous 4 inches in diameter to anyone who doesn’t use metric. The huge capacity allows it to literally shred huge amounts of your herbs in one go. The size of this thing really does defy belief. The diamond shaped teeth have razor sharp edges thanks to the concave faces and they will tear apart even the most densely packed herbs. It will pull them apart leaving a finely ground but nicely fluffed up stack of herbs in the lower collector section. 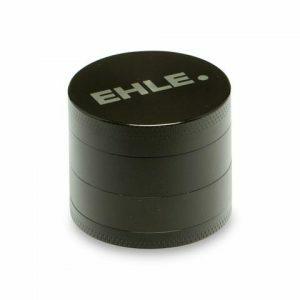 The base of the main collector has a fine sifter screen built in to it which allows any broken trichome heads to fall through into the kief collector section in the base. 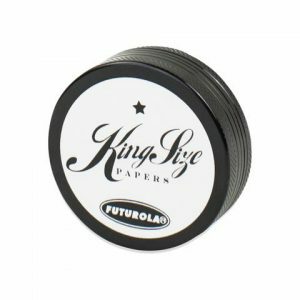 The whole grinder is made of CNC-Aluminum so it will be tough enough to withstand any knocks or drops and the teeth will keep their sharp edges for years to come. 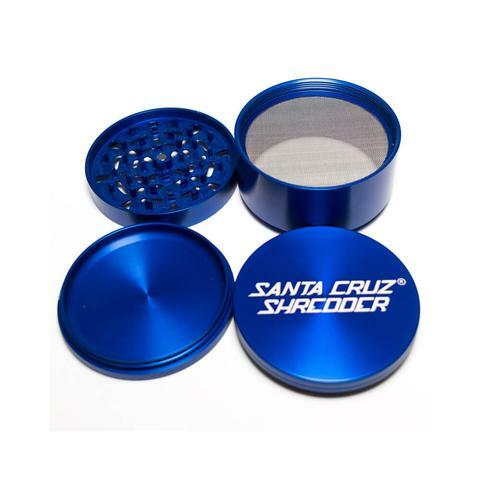 Like all Santa Cruz grinders the Jumbo comes in a choice of colors which you can select from the dropdown menu above. 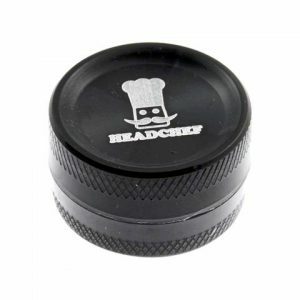 Grab the daddy of grinders and never need another one ever again.